Menace and love hang over The Loney like the mist and fog of the novel’s location on the Cumbrian coast. Proceedings kick off with the discovery of a corpse and then we a tilted back to the early 70’s. Our heroes are the nameless narrator and his older mute brother, Hanny. Also here to keep them company are two Catholic parish priests, their parents, Mummer and Farther, and a clutch of fellow members of the congregation of St Jude’s in Finchley. Every Easter the group descends onto the lonely and weather beaten patch of Cumbrian coast known locally as the Loney to a Catholic retreat. Treacherous tides, shifting quicksand, hostile locals and myth inhabit the place. Something happened to Father Wilfred one of the priests but we know not what. Something is about to happen to Hanny but again we don’t know. Every page takes you closer, every page completed is a relief that the expected horror is yet to happen. At the same time the story is a deep love story. Hanny might not be able to speak but he communicates with his brother via small objects handed to express sorrow, fear or joy. The nameless narrator both protects his brother and leads him into play and adventure. Horror is not usually a genre that I would pick up but I confess that I was lured by the cover. Thank goodness for that, as landscape, faith and love are all embraced in equal measure. I hope that The Loney gets put on the Fiction shelves and is not relegated a genre corner. 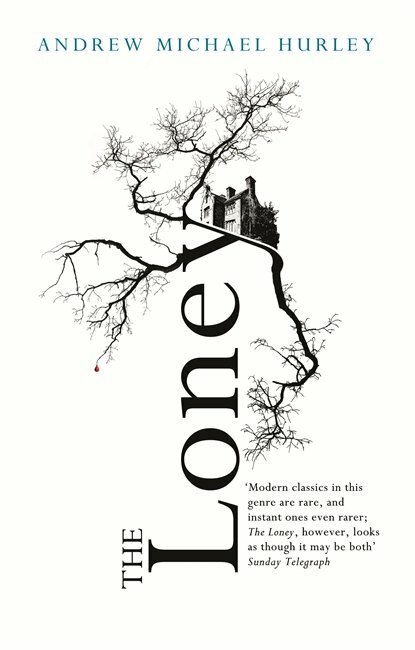 Disclaimer: I was sent an ARC copy of The Loney by NetGalley in return for an honest review. i like the sound of that. Might give it a go. Just make sure you are in cheery well lit room!